Love, Actually: You've Got Mail! 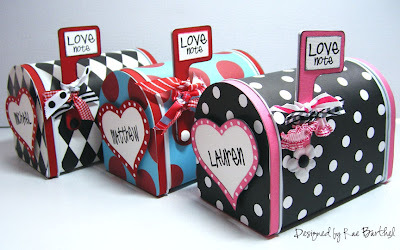 I love these cute little mailboxes because they tie romance and crafting together...two of my favorites! 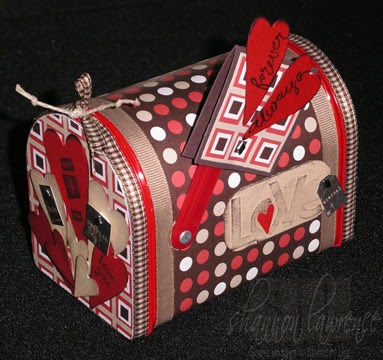 Wouldn't it be fun to write your spouse a love note and put it inside a mini mailbox? Don't want to do a full love note....how about a series of mini love notes leading up to Valentine's Day? Each evening, put the flag up so they'll know that "they've got mail"! 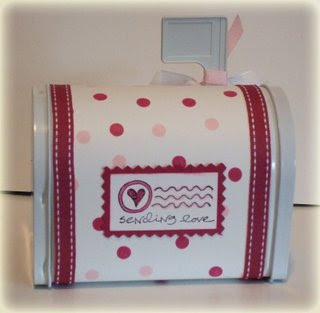 Here are some embellished mailboxes that I think are ridiculously cute! Yes...I think most all coverings that you see are scrapbook paper. cute, huh? 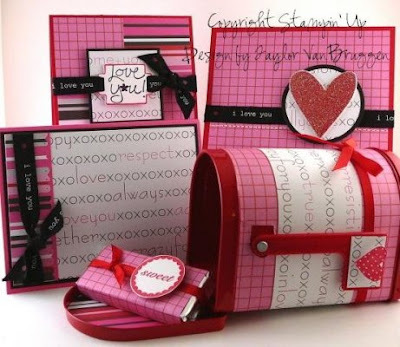 What a surprise to see my mailboxes featured here, thanks for the l♥ve. So very cute. I think my girls would love this more than my hubby. Where does one find these little mail boxes? How cute are these?!? Love them!! I've seen the mailboxes at Target in the dollar section. Hey those are my mailboxes! :) What a compliment to be featured. And to answer some of the questions, yes it's scrapbook paper. And you can find the mailboxes at Target during this time of year (seen them 3 years running now) in the dollar section and on Oriental Trading year round. Luv these! What a cute idea to have them on the mantel! Ha so where do I buy these since I'm not crafty enough to make them? Hey these are just so much beautiful and attractive. I am very much impressed to see it all. Thanks a lot. yes...they are at target this year for $1.00. I have seen them. Love the idea. :) I ended up doing this with my family and my husband on Sunday for Family home evening! mine aren't near as cute as all of these...but, hey what can i say!!! OMGoodness!! I found you thru a post on Pinterest and had to post these to my board. I did link back to this post if that's ok. Thank you for your inspiration!! I've had these for years and wanted to make them for hubby's co-workers this year - thanks to you I've made a little more room in the craft room and some cute treat holders!